Since 2012, the rails have been silent, but after an extensive upgrade and restoration, the Mary Valley Rattler now steams along the rails once more. This incredible train journey is one of Australia’s standout heritage experiences, and its return has been long awaited. The Rattler’s standard route travels between the historic and beautiful Gympie station through the scenic Mary Valley, the C17 class steam engine passes through Dagun station before arriving in Amamoor. The engine then turns around on the fully restored turntable for its return journey to Gympie. For Cross Country Tours, the Rattler’s return on 6 October has been highly anticipated. ‘More than 200 people have registered their interest to find out about our tours to see the Rattler when we first heard news of its return,’ said Tony Gear, Cross Country Tours’ Managing Director. 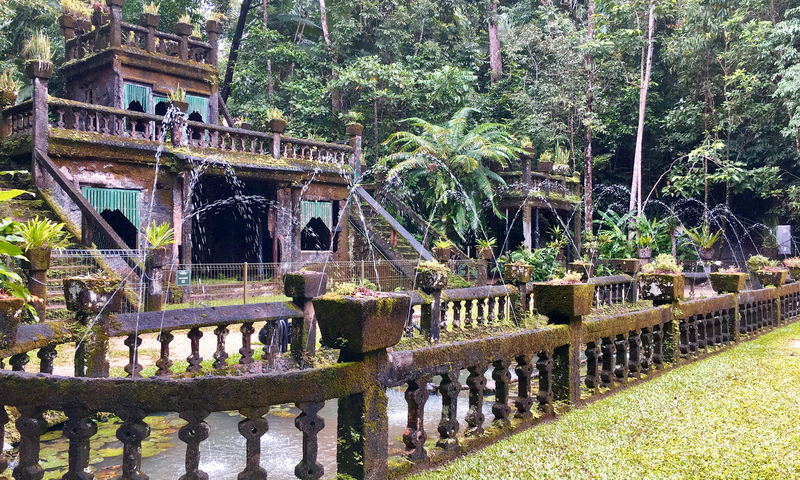 Cross Country Tours day tours begin with the first departure on 14 October, and continue through November and then March and April 2019. 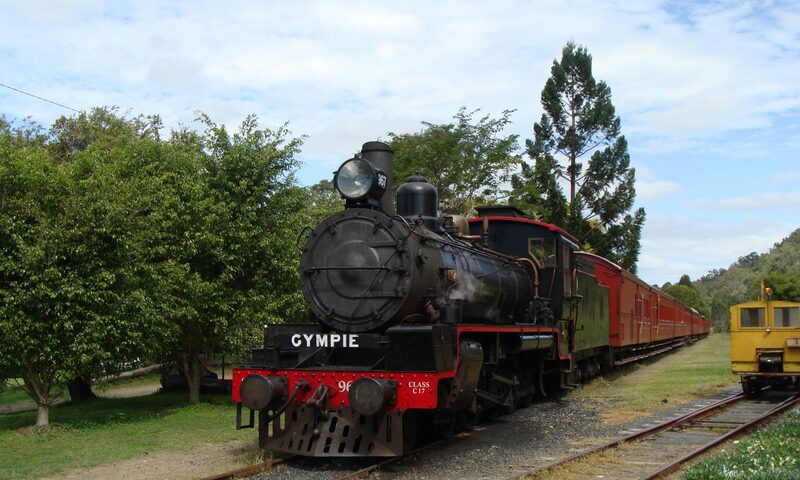 The day tour includes a ride on the Rattler between Amamoor and Gympie station, followed by lunch in the historic Gympie Station Cafe. All touring, morning tea, lunch and train ride are included in the fare of $95. Find out all the available dates or call 07 3869 7444 to book. 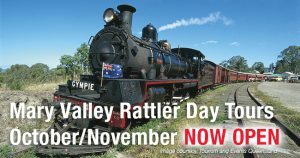 On the 14th of this month I was on the Mary Valley Rattler from Amamoor to Gympie . The trip was good, but spoilt by the rain that day. The public address system on the train was out of order, so we had no commentry given on our journey to Gympie. The Lunch was not held in the Historic Cafe, but out on the platform, which was very disappointing, I do think that the staff at the Gympie station could have arrange our tables inside the Historic Cafe, as we had expected, especially with the large group of visitors from the Cross Country Tours. But otherwise an enjoyable day. Hi Dorothy, thanks for your feedback – it’s a shame it was a rainy day for our first weekend out to the Rattler! I’m glad you had a mostly enjoyable day and I will pass your other suggestions onto our team for discussion with the Mary Valley Rattler staff.